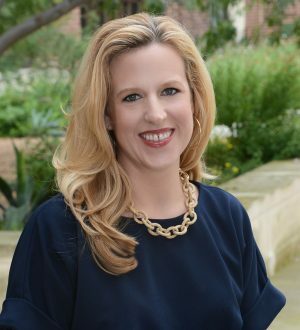 Tobi Young is General Counsel in the Office of the Former President for President George W. Bush, as well as the General Counsel and Board Secretary for the George W. Bush Presidential Center. In these positions, she represents the interests of the Bush administration with the federal government and maintains the legal operations for a robust 501(c)(3) organization, with a focus in legal areas including negotiations and contracts, intellectual property, tax, and employment law. Prior to this position, Tobi worked in the George W. Bush Administration as a Special Assistant to the President and Associate White House Counsel. She also served in the Department of Justice as Counsel to the Assistant Attorney General for Civil Rights and entered the Department as a trial attorney through the Honors Program. Tobi also served as a law clerk to Judge Jerome A. Holmes on the Tenth Circuit Court of Appeals. Before attending the University of Mississippi School of Law, Tobi was press secretary to U.S. Representative J.C. Watts, Jr.